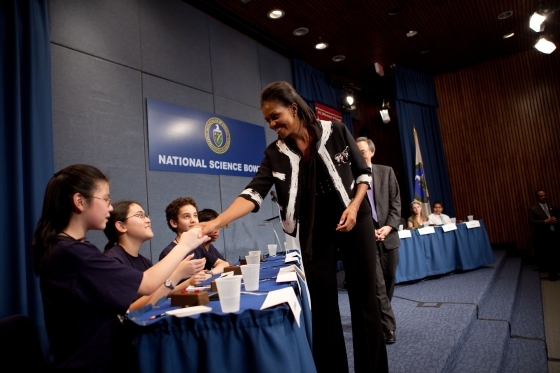 Today, First Lady Michelle Obama and I have the distinct pleasure of lending a hand at the National Science Bowl – an impressive display of the scientific talents of our young people. 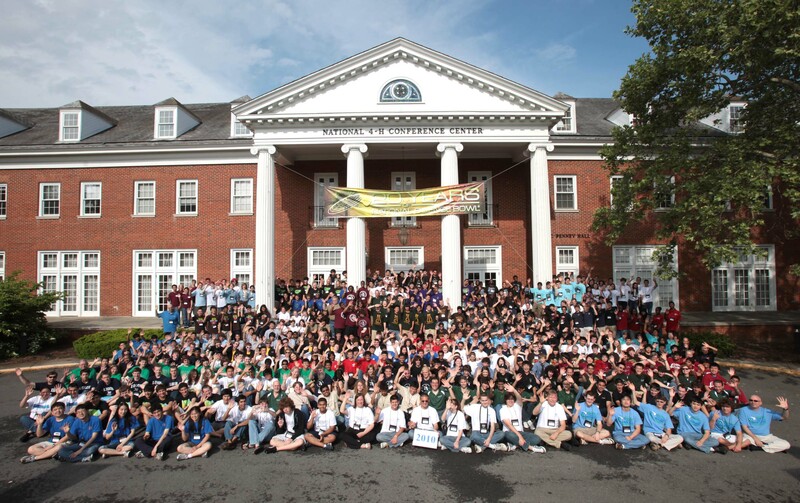 Over the past few days, students from sixty-eight high school teams and thirty-seven middle school teams have competed for the championship titles by answering questions in a range of scientific disciplines, including biology, chemistry, earth science, physics and astronomy, and math. I have been going to Science Bowls for many years, and I always come away hopeful for America’s future. I know the First Lady would agree that the knowledge and dedication of these students is inspiring. Read the First Lady’s remarks here. Competitions like this one are important because America’s leadership tomorrow depends on how we educate our students today. 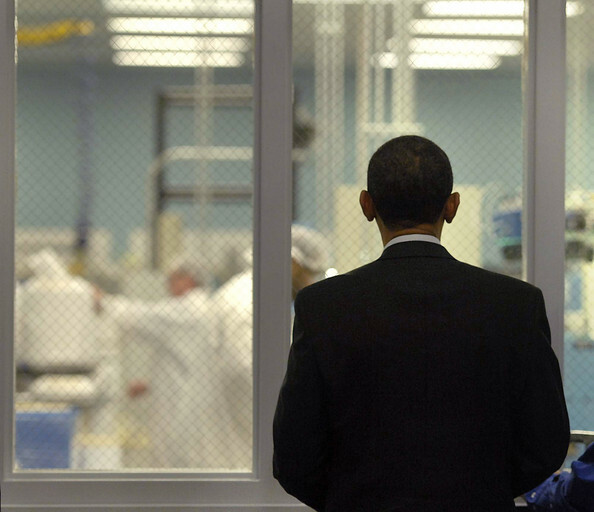 We need a bold new generation of scientists and engineers to make America competitive in this century. Only by having our best and brightest young people pursue careers in science and engineering can America compete for the high-wage, high-tech jobs of the 21st century. We also face an unprecedented challenge to our very way of life from a changing climate, and we need this generation to help find new solutions to the energy and climate problem. In fact, all of the great challenges we will face in this century will require science and innovation to meet them. Thanks for checking out the West Wing Week, your guide to everything that’s happening at 1600 Pennsylvania Ave. This week, walk step-by-step with the President as he attends a naturalization ceremony for some members of the Armed Forces, delivers a eulogy for West Virginia miners, welcomes the World Series Champion New York Yankees, travels to the Midwest as part of his White House to Main Street tour, and much more. 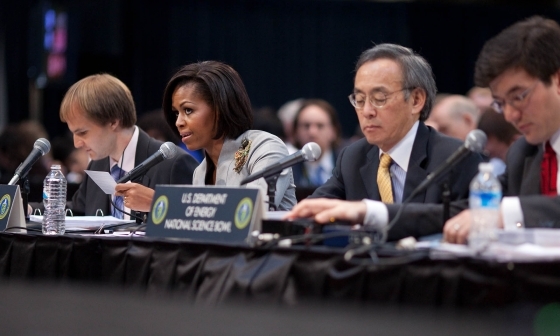 On May 4, 2010 First Lady Michelle Obama will join Energy Secretary Steven Chu for the Department’s 20th Annual National Science Bowl where she will ask the championship round bonus point questions. 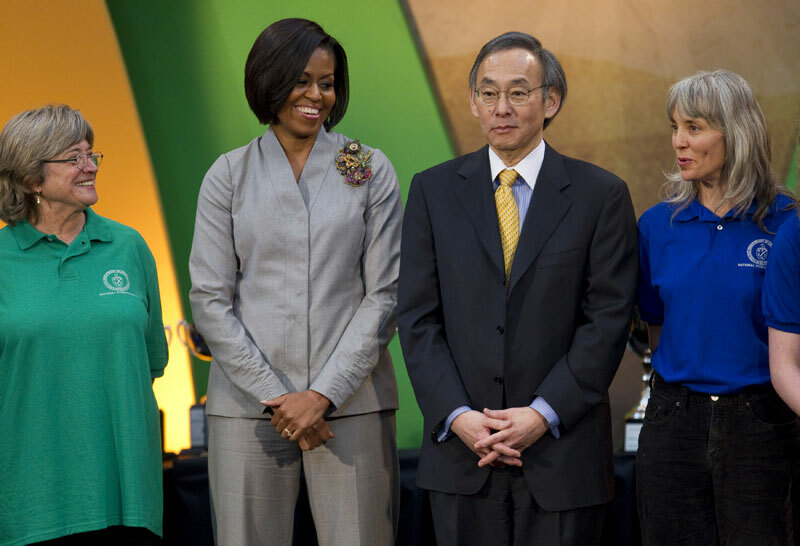 The First Lady and Secretary Chu will also address the more than 500 high school and middle school students and the 100 teachers and coaches attending the competition. 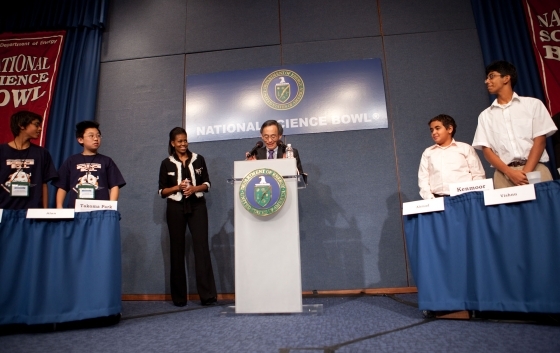 Last November, Mrs. Obama visited the Department and joined Secretary Chu for a practice session for young people competing in the Science Bowl. In the days prior to the championship, 105 regional high school and middle school championship teams from 42 states, the District of Columbia, Puerto Rico and the U.S. Virgin Islands will participate in round robin and double elimination rounds in which they will be quizzed on math and all science disciplines, including biology, chemistry, earth science, physics and astronomy. A featured event at the National Finals for middle school students, the Hydrogen Fuel Cell Model Car Challenge invites students to design, build, and race model cars. This competition tests the creative engineering skills of many of the brightest math and science students in the nation as they gain hands-on experience in the automotive design process and with hydrogen fuel cell technology. 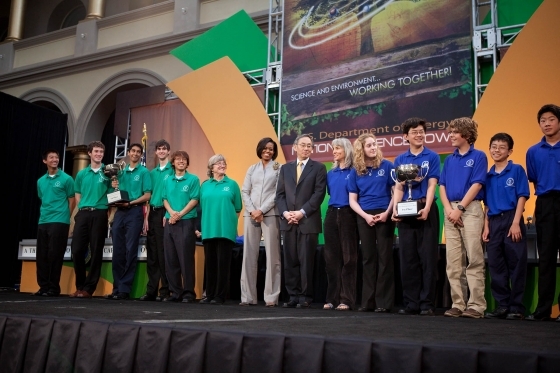 The National Science Bowl is the only science competition in the United States sponsored by a federal agency. 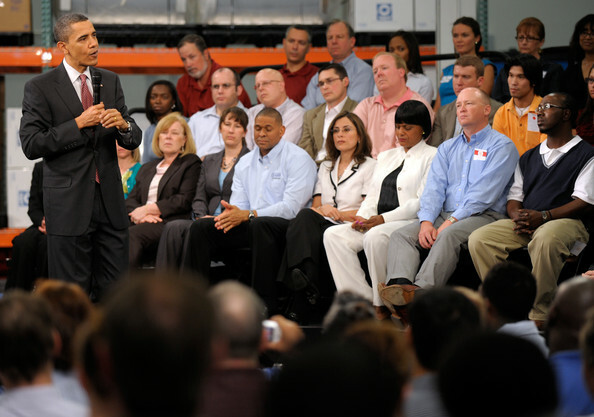 Carol Browner~Over the past two days, President Obama traveled to Iowa, Missouri and Illinois as part of his Main Street tour. 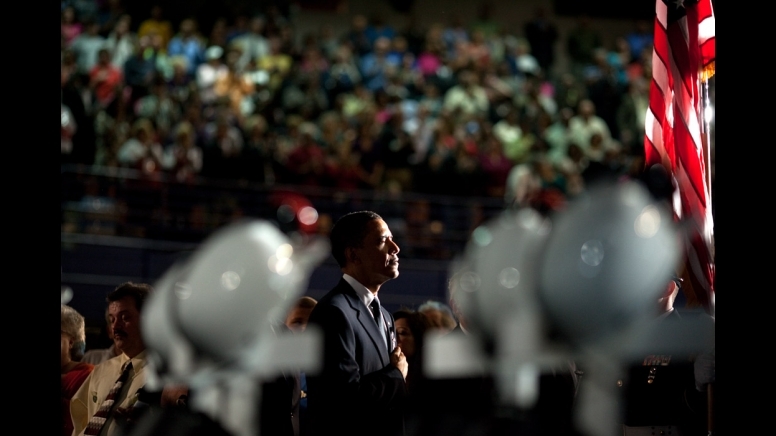 He witnessed the hardships that Americans are facing from the economic crisis that plagues our nation. However, he also witnessed the possibilities and opportunities for growth that are happening all over the country, through investment in our clean energy economy. After traveling throughout Iowa, touring a farm and holding a town hall meeting at a Community College, on Wednesday the President headed to Macon, Missouri. 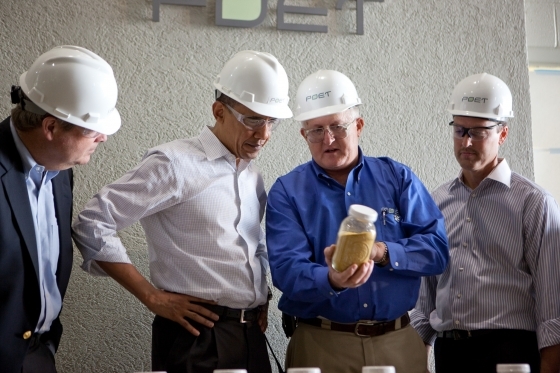 Macon is home to the POET Biorefinery, a plant that produces ethanol from crops grown right here in the United States. Families in Macon and Fort Madison, like many others across this nation, know all-too-well the hardships of this recession. But these towns, and many others across the country, are getting back to their feet – and we are doing all we can to help. 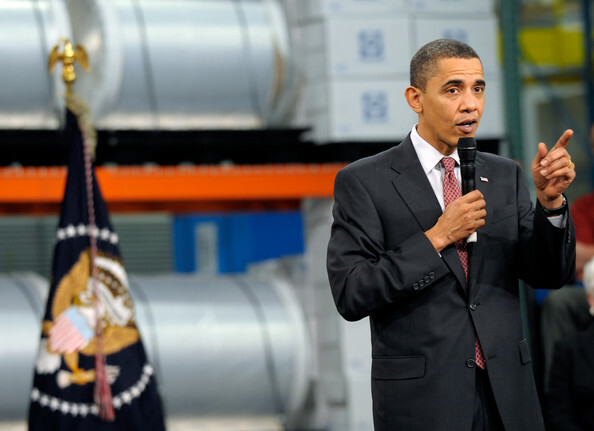 Last year we made the largest investment in the clean energy economy in our nation’s history, which is expected to create more than 700,000 jobs by the end of 2012. These are jobs not just in providing the parts and technology to create power from the wind or fuels from the land, but in manufacturing solar panels, in building the wires and mechanics behind our smart meters, in creating next generation batteries – the list goes on. Other nations realize that the country that leads the clean energy economy will be the country that leads the 21st century global economy. The President is dedicated to making the United States that country – and is inspired by the small towns across rural America that provide the backbone for this effort. Towns like Macon and Fort Madison can be models around this country, and I’m confident one day we’ll look back to these places as some of the engines of this new clean energy future. As extraordinary the work that towns like Macon and Fort Madison are doing, these plants can’t solve all our energy challenges alone. But their work is a key part of a comprehensive strategy to move us from an economy that runs on fossil fuels to one that relies on homegrown fuels and clean energy. And the President knows we can come together on this issue and pass comprehensive energy and climate legislation that will spur a new generation of clean energy industries, create good American jobs, and enhance our energy security. 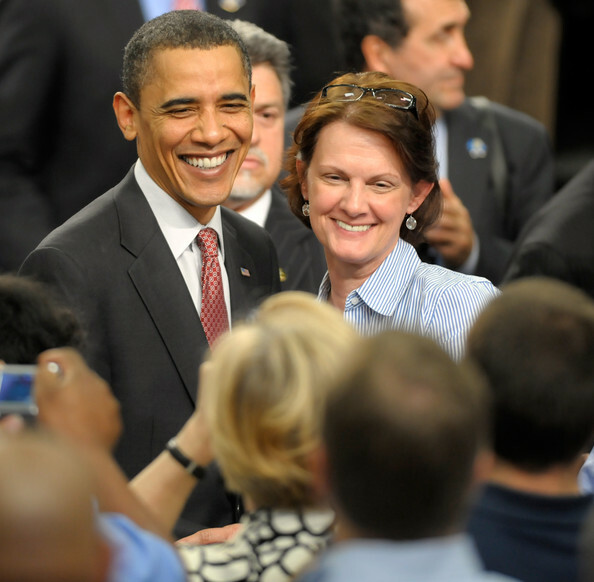 Carol Browner is the Assistant to the President for Energy and Climate Change. 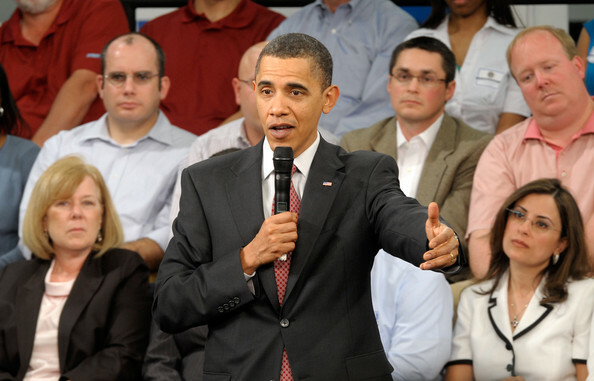 KTVO3~What would you do if you were enjoying your lunch and in walks the president of the United States? Well that’s exactly what happened to diners at Peggy Sue’s Cafe in Monroe City. 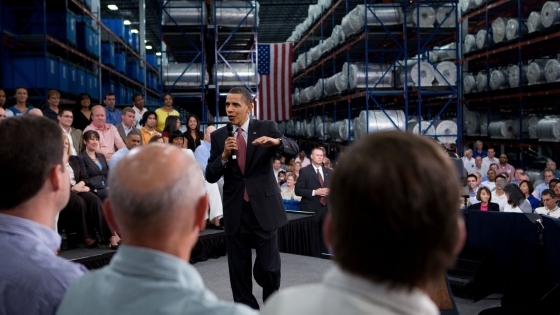 President Obama made an unexpected stop for lunch a little after 11 Wednesday morning. 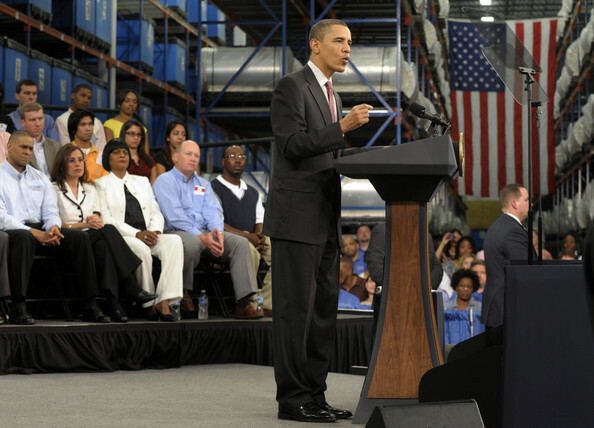 Staff was informed they would have a special guest for lunch several minutes prior to the president’s arrival. Obama mingled with diners and ordered a cheeseburger and fries to go and even picked up the check for everyone at his table. “I’m on a natural high, I have never felt like this before, I am so wound-up I thought I was just gonna get up and mow the yard today and I feel like I could conquer the world now. So it’s enthralling, it’s awesome,” said Peggy Sue’s Stepdaughter Kayla Klocke. “I was late coming in and I came across like she did and it’s like ‘Stop! You can’t go!’ I’m like ‘I work here I need to get in,’ and they searched my purse and searched me and then let me in and they were like ‘he’s coming.’ I was like ‘oh my gosh,’” said Peggy Sue’s Café Waitress Jodie Clarkson. Both women described the president as down to earth and very nice. They said he discussed farming, the military, insurance, and banking with customers. “I didn’t really have a good impression of the president beforehand but I mean he’s down to earth, he seems like he’s interested especially in the farming industry and helping people, very appreciative of service members for sure there were some outside too that he went straight to them and shook their hands,” said Klocke. 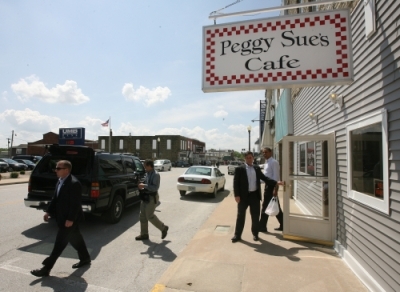 After President Obama left Peggy Sue’s Cafe he crossed the street to speak to employees at an insurance agency. Peggy Sue said as soon as the secret service sends her the pictures they took she will put them on the wall for everyone to see. 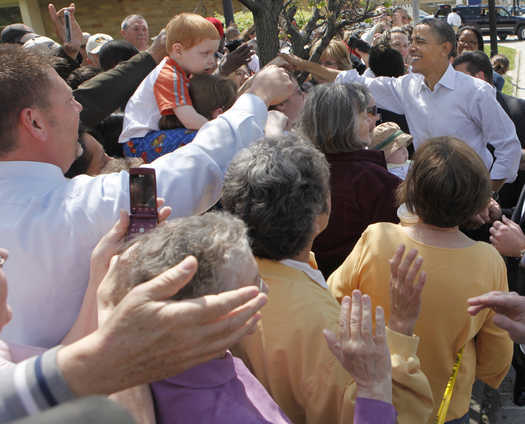 Quincy Herald Whig~President Barack Obama’s unexpected stop at a Monroe City cafe gave hundreds of people a chance to see him, shake hands, show support or show displeasure. “He was very personable, very congenial,” said Joyce Anderson, office manager at See Real Estate, 216 Main, where the president also stopped. Obama spent about an hour in town, posing for photos and listening to comments and sharing his views on health care, agriculture, crop insurance and jobs. Some questions were also directed to the Secretary of Agriculture. “It was a very nice visit,” Beth Garner said. She said she got to speak with the president for about 15 minutes, sharing her concerns about how health care reform will affect her and her neighbors. Greg Cooper, co-owner of LaRue Insurance Agency, 216 N. Main, was most impressed by what he felt was a the president’s personal concern for the people’s problems. 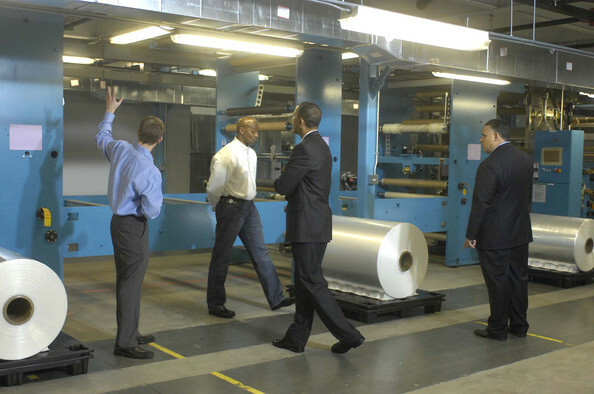 After responding to his “how are you doing?” with talk of jobs and cutting costs, the closing of one factory and the local takeover of another, “we’re improving,” Cooper told the president. “Yes, but how are you doing?” he said the president responded. Lori Summers, 36, of Monroe City, chanted “Yes we can,” in an effort to attract the president’s attention. It worked, as the president stepped back to shake her hand after heading toward the motorcade. “This is historic. Monroe City is a little town and this is amazing,” said Summers, an African-American who wore a shirt with the president’s picture on it. AP~The Obama administration has approved what would be the nation’s first offshore wind farm, off Cape Cod, inching the U.S. closer to harvesting an untapped domestic energy source – the steady breezes blowing along its vast coasts. U.S. Interior Secretary Ken Salazar announced his decision Wednesday in Boston, clearing the way for a 130-turbine wind farm in Nantucket Sound. Cape Wind was in its ninth year of federal review, and Salazar stepped in early this year to bring what he called much-needed resolution to the bitterly contested proposal. “We are beginning a new direction in our nation’s energy future,” Salazar said. Cape Wind says it can generate power by 2012 and aims to eventually supply three-quarters of the power on Cape Cod, which has about 225,000 residents. Cape Wind officials say it will provide green jobs and a reliable domestic energy source, while offshore wind advocates are hoping it can jump-start the U.S. industry. America’s onshore wind industry is the world’s largest, but higher upfront costs, tougher technological challenges and environmental concerns have held back the development of offshore wind farms. Denmark installed the world’s first offshore wind turbine 20 years ago. China has built its first commercial wind farm off Shanghai and plans several other projects. 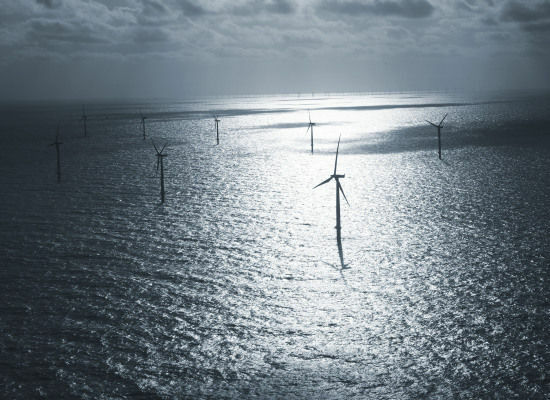 The U.S. Department of Energy envisions offshore wind farms accounting for 4 percent of the country’s electric generating capacity by 2030. The Cape Wind Fact Sheet, Project Site Map and the Secretary’s Response to the Advisory Council on Historic Preservation are available here or here. More information on the project can be found here. Cape Wind will be the country’s first offshore wind farm. The US Department Of Energy predicts that offshore wind farms alone will handle 4% of the country’s electricity generating capacity by 2030. The project will be ready to generate power in 2012, and Cape Wind plans on supplying 75% of Cape Cod, Martha’s Vineyard, and Nantucket Island’s power combined with the clean energy technology. At peak capacity, the project has the capability to meet 4% of the entire New England region’s power needs. 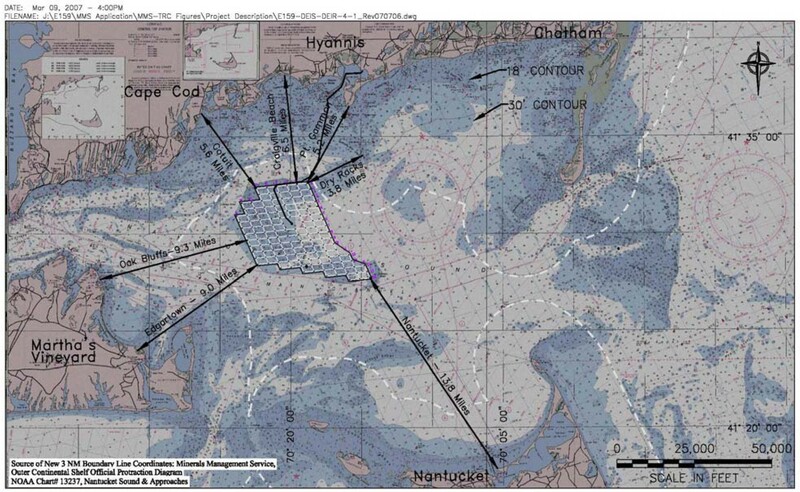 The 130-turbine wind farm in Nantucket Sound will be no closer than 5 miles to land, and 14 miles away at its furthest. On a clear day, the turbines would only be a half-inch tall on the horizon when viewed from the nearest point of land. The number of turbines have been reduced from an original proposal of 170 to 130 to address concerns about harming views. Cape Wind will create 600 – 1,000 construction jobs and 50 permanent wind power jobs. The United Kingdom and Denmark are the leaders in offshore wind power, though many countries, like Germany, Norway, The Netherlands, and China, have invested in the renewable energy source as well. In 2007, Denmark (who built the first offshore wind farm decades ago) generated 19.7% of their electricity production from their combined wind power farms. That same year, 1.5% of electricity in the UK was generated by wind. 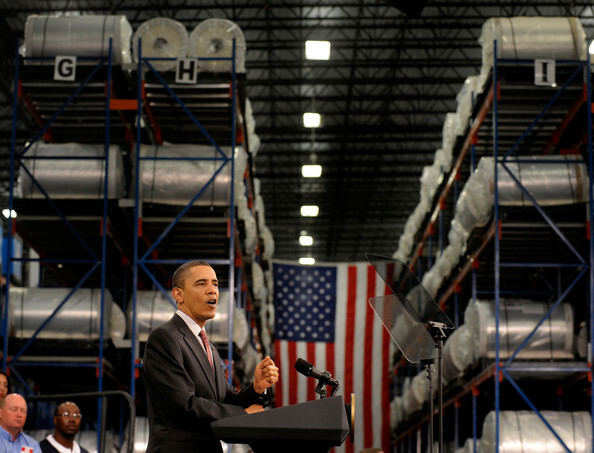 The President visits a Siemens wind turbine blade manufacturing plant in Fort Madison, IA on his White House to Main Street tour and speaks about how his Administrations investments in clean energy are creating jobs and new industries. It’s been a busy Earth Day here at the White House and around the Administration. Yesterday Vice President Biden kicked off the Administration’s Earth Day Celebration by announcing $452 million in Recovery Act funding to support a “Retrofit Ramp-Up.” This program will create thousands of jobs and allow these communities to retrofit hundreds of thousands of homes and businesses while testing out innovative strategies that can be adopted all over the country. 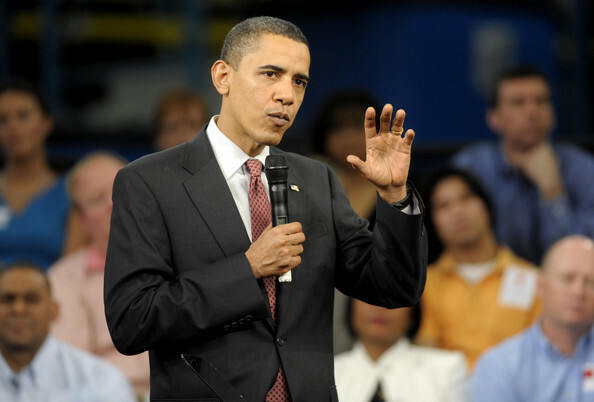 President Obama also issued a Presidential Proclamation on Earth Day calling on Americans to join in the spirit of the first Earth Day forty years ago to take action in their communities to make our planet cleaner and healthier. I think we all understand that the task ahead is daunting; that the work ahead will not be easy and it’s not going to happen overnight. It’s going to take your leadership. It’s going to take all of your ideas. And it will take all of us coming together in the spirit of Earth Day — not only on Earth Day but every day — to make the dream of a clean energy economy and a clean world a reality. Over on the Social Innovation and Civic Participation blog, guest blogger and former Peace Corps volunteer Kelly McCormack shares here story about a community solution to an environmental problem in Gautemala. Finally, President Obama’s cabinet and other senior government officials fanned out across the country as part of the Administration’s 5-day celebration of the 40th anniversary of Earth Day. From live chats, to announcing major investments in renewable energy, to appearing on the David Letterman show – all-in-all a busy day! Both EPA and Earth Day celebrate their 40th birthdays this year! On Earth Day, Administrator Jackson joined Green For All at the Grant Houses Community Garden in Manhattan to take a tour of the garden, deliver remarks to students and volunteers and participate in a planting activity with volunteers. Later tonight catch her on the David Letterman Show to talk about the 40th anniversary of Earth Day and the President’s clean energy and green jobs agenda. Check out EPA’s Earth Day website to learn more about what they are doing to celebrate 40 years of going green! On the 40th Anniversary of Earth Day, Energy Secretary Steven Chu announced that the Department will invest more than $200 million over five years to expand and accelerate the development, commercialization, and use of solar and water power technologies throughout the United States. Secretary Locke spoke in Jersey City, N.J., at the Lincoln Park restoration project that is turning a landfill into a healthy wetland. NOAA funded this habitat restoration project through the American Recovery and Reinvestment Act. Chair Sutley will deliver remarks at the Earth Day Network’s 40th Anniversary of Earth Day festivities on the National Mall this Sunday. 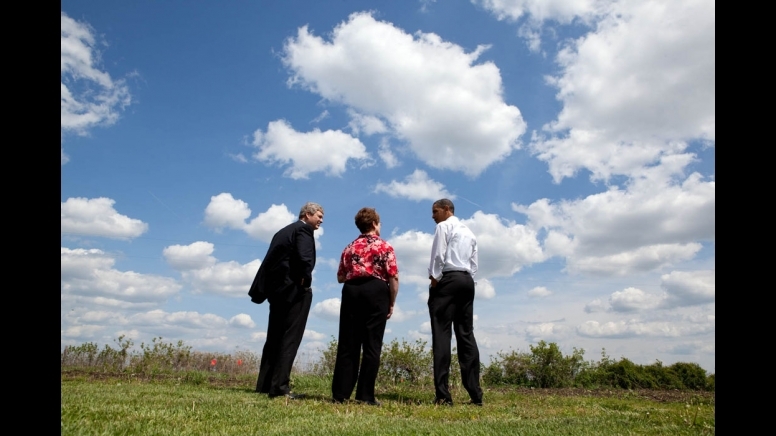 Today she shared her personal reflections on Earth Day on the White House blog. Earlier today Secretary Solis hosted a webchat to discuss issues and opportunities related to Earth Day. 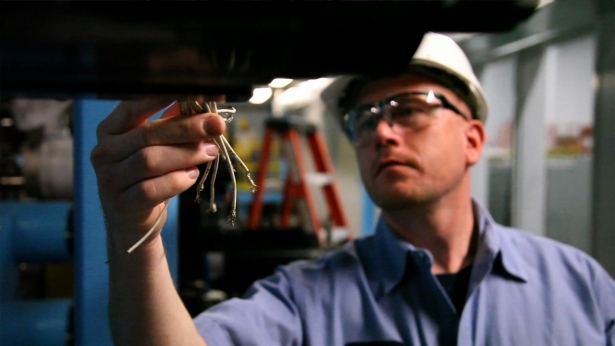 The Department of Labor also issued a report detailing green job training opportunities made available over the past year, including $490 million in Recovery Act funding for green jobs training. Secretary Shinseki awarded $20.2 million to install solar energy systems at 18 VA medical centers through the American Recovery and Reinvestment Act. Secretary of the Navy Ray Mabus celebrated Earth Day by attending a flight test of the “Green Hornet,” an F/A-18 Super Hornet multirole fighter jet powered by a biofuel blend. Secretary Mabus has made the exploration and adoption of alternative fuels a priority for the Navy and Marine Corps. 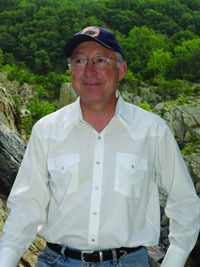 Secretary Salazar joined hundreds of children on the National Mall for a Buddy the Bison Hike sponsored by the National Park Service. Later he joined the Earth Day Network event on the mall to talk the need to address urgent environmental crises such as climate change. Secretary LaHood celebrated Earth Day at a rally in Chicago with Mayor Daley and the Chicago Climate Action Plan. You can read more about his day on his blog Fastlane. Secretary of Education Arne Duncan delivered remarks at a ceremony commemorating the 40th anniversary of Earth Day Thursday at the National Mall in Washington. Coast Guard Commandant Thad Allen reflected on his blog “iCommandant” on the Coast Guard’s mission of saving lives and saving the planet by helping to protect and preserve marine life and habitats. Economic statistics don’t do justice to the pain and anxiety that results from unemployment. Lasting unemployment takes a toll on families, takes a toll on marriages, takes a toll on children. It saps the vitality of communities, especially in places that have seen factories and other anchoring businesses shut their doors. And being unable to find work — being able to provide for your family — that doesn’t just affect your economic security, that affects your heart and your soul. It beats you up. It’s hard. So we have to be mindful that today’s job numbers, while welcome, leaves us with a lot more work to do. 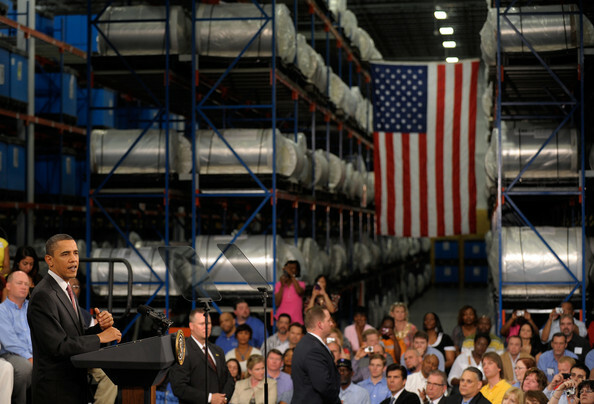 It will take time to achieve the strong and sustained job growth that we need. 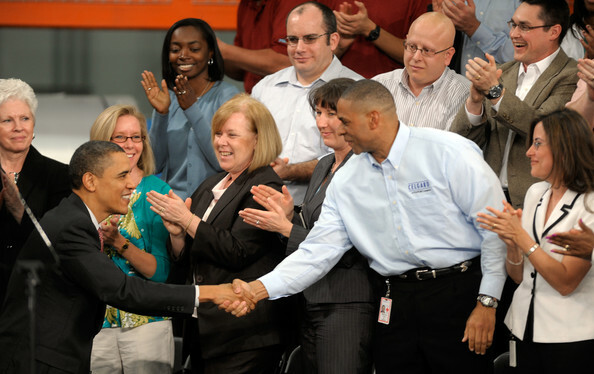 The President said that the private sector is the “true engine of job growth in this country,” and that while the government “can’t reverse the toll of this recession overnight”, it can help to spur job growth by providing incentives for companies to begin hiring again. The President recently signed the HIRE Act, a jobs bill that provides tax cuts for businesses that hire new employees, and makes investments in clean energy and schools to encourage job creation. He explained that the Recovery Act also made significant investments in infrastructure, helping to create private sector jobs. So here’s the bottom line: This investment is expected to create nearly 300 jobs for this company, more than a thousand jobs for your contractors and suppliers — and these are all jobs helping America build the batteries that will power cleaner and more efficient cars and trucks. And through investments like this one across the country, we’re already seeing an incredible transformation. Here’s an interesting statistic: Before the Recovery Act, before I took office, we had the capacity to make less than 2 percent of the world’s lithium ion batteries — less than 2 percent. In the next five years, on the trajectory that we’re now on, we’re going to be able to make 40 percent of the advanced batteries right here in the United States of America. Right here. So the next time somebody asks you, when you’re at the grocery store, well, what did this Recovery Act do? You can tell them, one of the things it helped do is to expand and catalyze an entire new industry, where the United States of America can gain enormous market share across the globe. And that’s the kind of strategy we need — helping the private sector thrive in entirely new industries, the industries of the future. It’s a strategy that will not only create jobs in the near term, but also sustained growth and opportunity in the long run. To learn more about the benefits of the Recovery Act, visit our Recovery Act section or visit Recovery.gov.